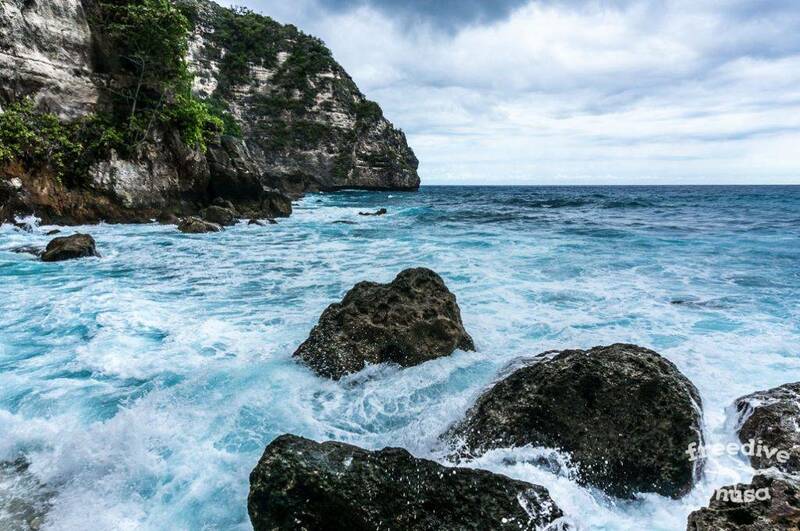 The main reason to go to Nusa Penida, and also the reason why we are here, is absolutely to dive. 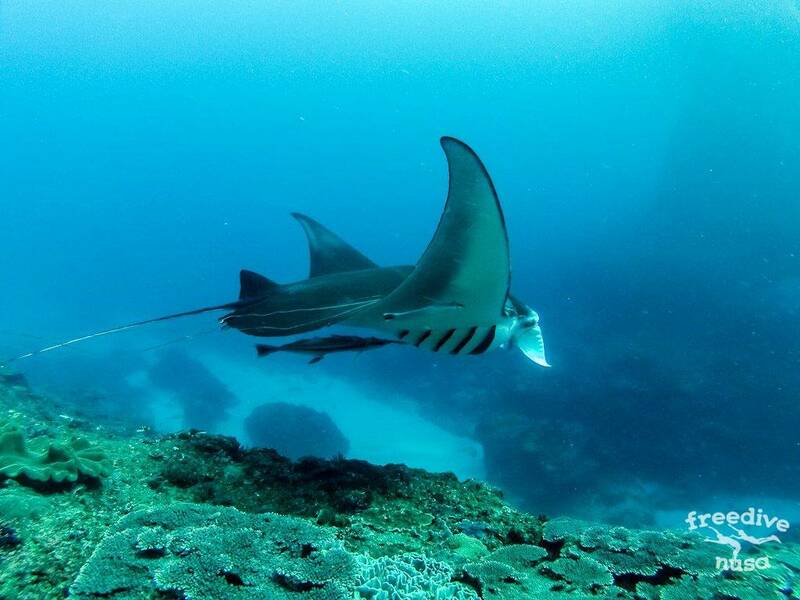 We regularly organize freedive trips to Manta Rays and invite you to join this amazing adventure. 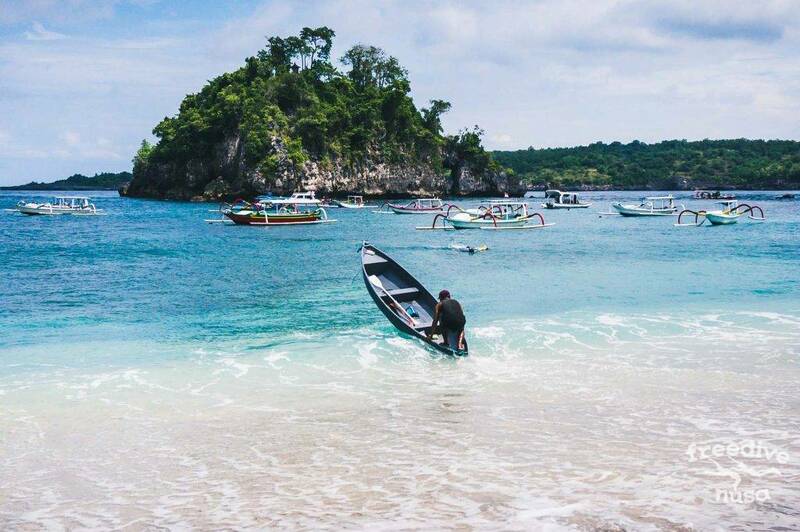 Dive sites around the island are the best in Bali. Rich, well-known dive site called SD is just in front of our school gate. It is a home reef for us. Here is a video of our village below and above the water. 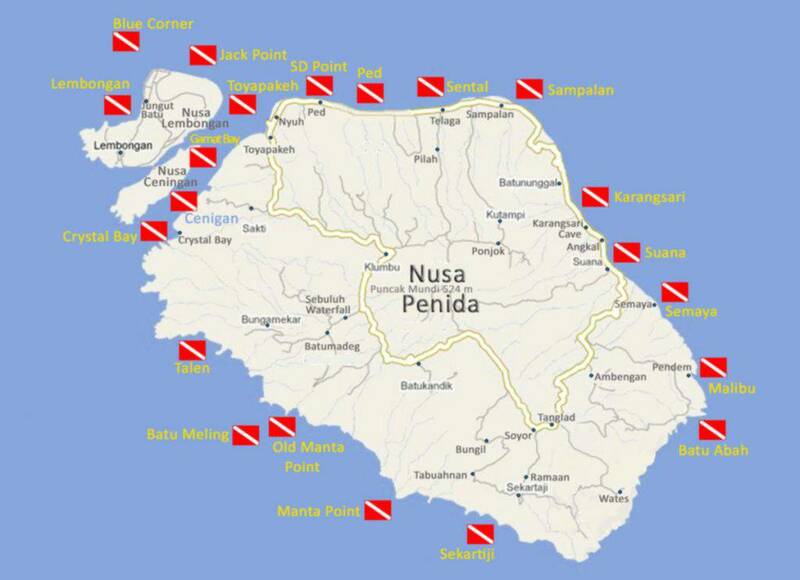 Here is the map of the island’s dive sites. There are plenty of them. 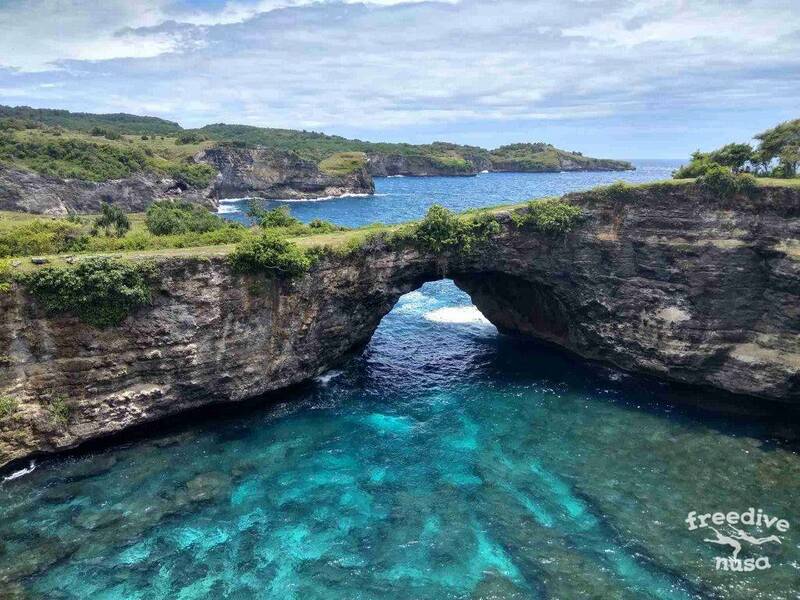 Nusa Penida is very popular among scuba divers. It is a specially noticeable during the high season — starting July until September, when there is a big chance to see Mola-Mola fish (Moon fish). Divers from Bali and Nusa Lembongan coming here with daily trips for couple of dives. On this time Crystal Bay could be really crowded — tens of diving speedboats park there. If you want to dive with scuba there are few dive centers on the island. The places that are good both for snorkeling and freediving are SD, Ped, Sental, Buyuk, Crystal Bay, Gamat Bay, Malibu Beach, Suwehan Beach. All of them could be reached from the shore. 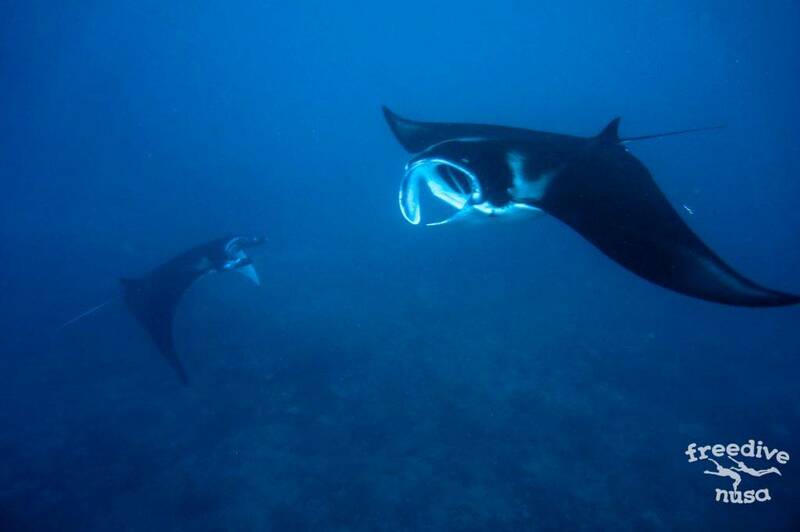 We have amazing possibility to dive with giant Manta Rays all year long. It is such an unforgettable, magical experience. No one can guaranty meeting with mantas – it is a wild nature, not a zoo. It depends on different weather conditions such as waves heights and water temperature, the possibility differs from time to time. But ones it happens, you would value this experience so much that you would never forget it. We take the trip to the manta spots with experienced captains whom we trust. 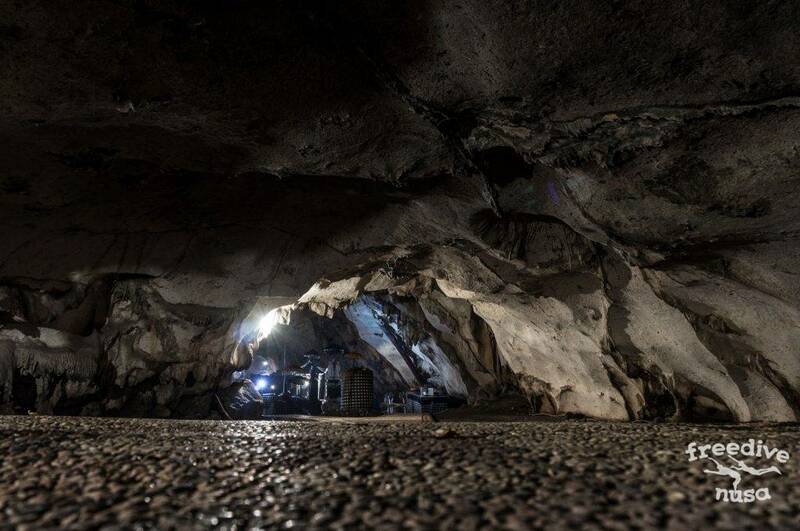 Near to Crystal Bay there is a special place — an underwater cave that is partially filled with air. Thousands of bats are living there. 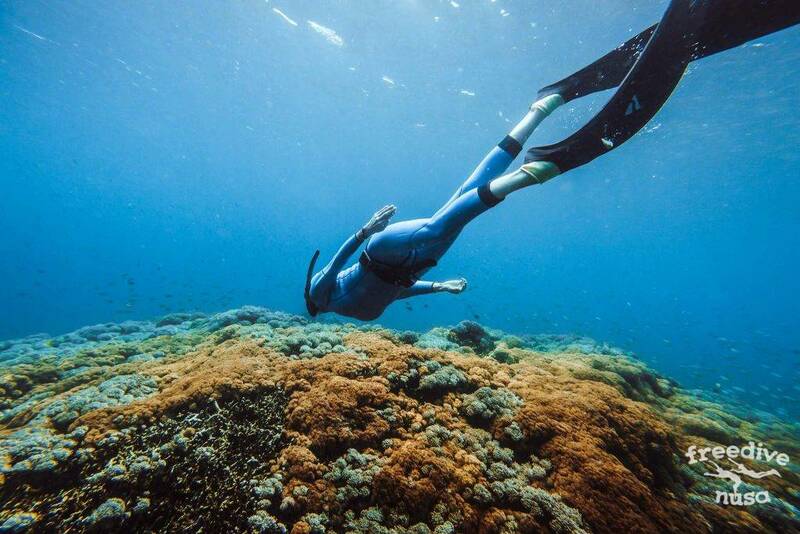 But it is a kind of place where only experienced freedivers are allowed to come. 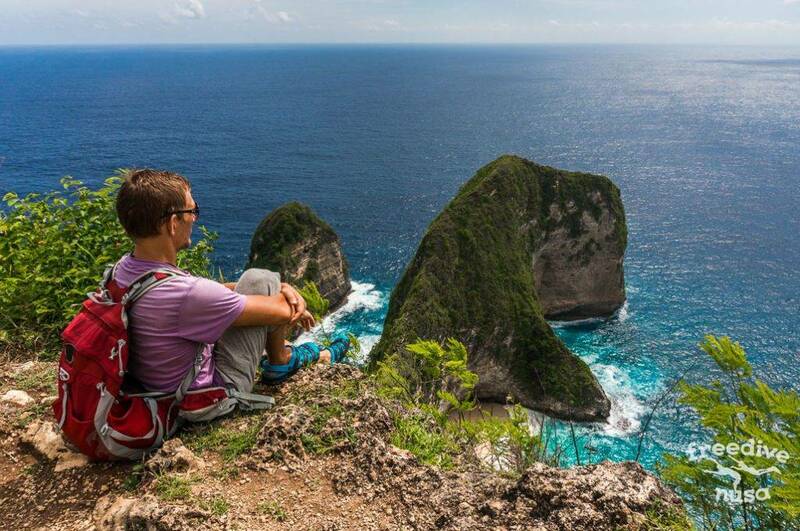 Those who are not diving would also love to come to Nusa Penida for special places of interest and natural wonders. Underwater temple Goa Giri Putri. Beautiful beach Crystal Bay (also good for snorkeling). Atuh Beach — one of the most beautiful places on the island. 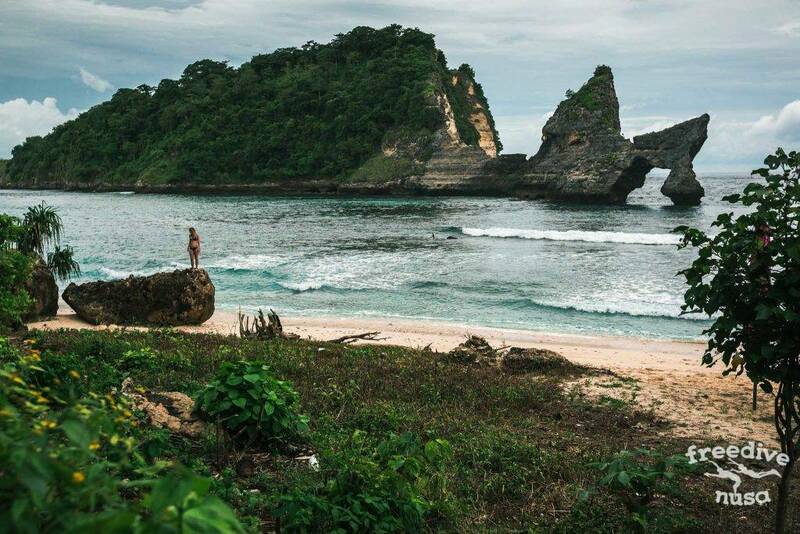 Kelingking beach or Karang Dawa — island’s land mark. Angel’s Bilabong and Broken Bay. Peguyungan Waterfall is not really a waterfall. It is a spring going up through the rock. 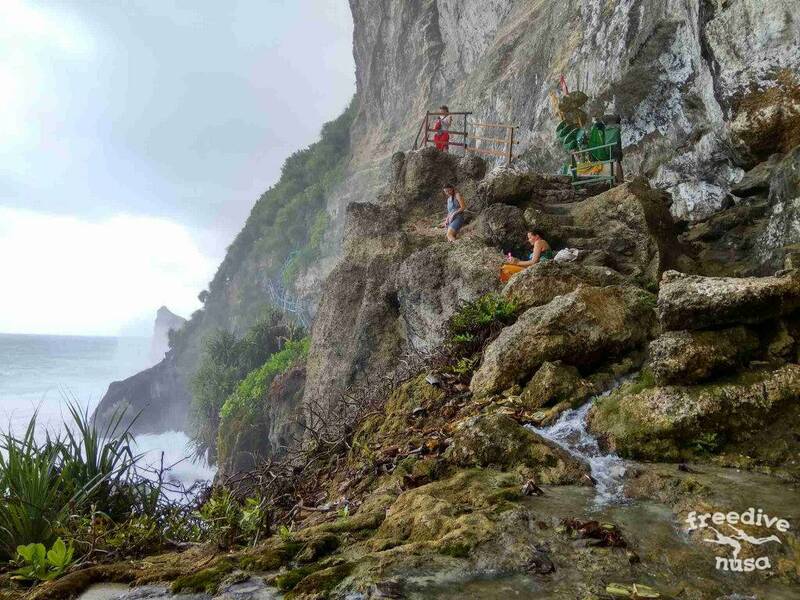 You need to walk on 700 stairs to reach it, so it would be a special experience. Breathtaking views from Banah and Saren Cliffs.  You will absolutely have many options on how to spend your time between dive sessions! 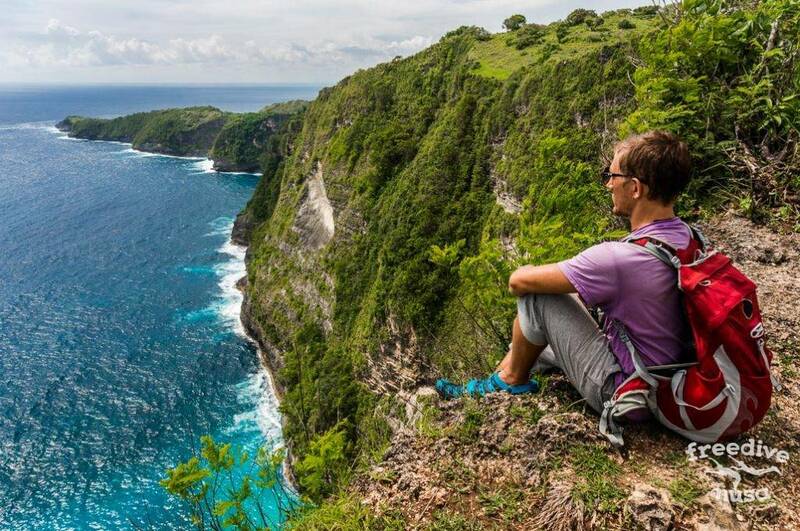 See you on Nusa Penida!